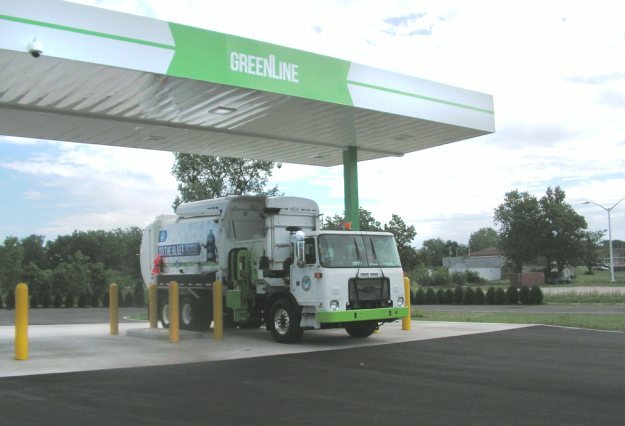 The city of Muncie and the Muncie Sanitary District were recognized for its GreenLine CNG station by the Greater Indiana Clean Cities Coalition. At the event, Muncie Sanitary District was awarded the 2017 Natural Gas Award, recognizing GreenLine as East Central Indiana’s first municipally-owned CNG station. The award was accepted by Mayor Dennis Tyler—who saw the potential of the Muncie Sanitary District Board of Directors’ vision to create GreenLine—on behalf of the city of Muncie. GreenLine provides diesel alternatives for public and fleet vehicle use, contributing to Indiana’s efforts to reduce vehicle emissions. The Greater Indiana Clean Cities Coalition sponsored the event to congratulate and thank those businesses contributing to the organization’s overall mission to reduce the United States’ dependence on foreign oil, generate green jobs, and improve air quality in Indiana.